Be the first to share your favorite memory, photo or story of LaVaughn. This memorial page is dedicated for family, friends and future generations to celebrate the life of their loved one. Hastings resident LaVaughn Goings, 92, passed away Saturday, January 12, 2019, at the Harvard Rest Haven in Harvard, Nebraska. Memorial service is 10:30 am, Thursday, January 17, 2019, at Faith Lutheran Church in Hastings, NE with Pastor Paul Dunbar officiating. Interment will be at Parkview Cemetery in Hastings, NE. DeWitt Funeral Home and Cremation Service is handling arrangements. LaVaughn was born on January 21, 1926, near Campbell, Nebraska, the daughter of Harvey and Lula Schriner. She married Melvin C. Goings on August 30, 1947, in Bloomington, Nebraska and enjoyed her life of raising her children, volunteering, crocheting, embroidery and spending time with her grandchildren, great-grandchildren, and her dog Sammy. LaVaughn was active in the community. She volunteered for 25 years for the Good Samaritan Society, Retired and Senior Volunteer Program of Adams and Webster Counties, and Grandparents week. LaVaughn was awarded The President’s Volunteer Services Award from the White House in 2007. 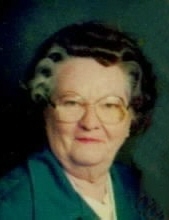 LaVaughn is survived by her children, Bonnie (Matthew) Collins of Lincoln, NE, Harvey Goings (Significant other, KayCe Sheppard) of Hastings, NE; five grandchildren, Angela (Steve) Hauschel, Anthony Goings, Dustin Goings (significant other, Asia Buck), Macalla Carlson, and Brooke Jansen; nine great-grandchildren, Jordan, Kason, Luis, Noah, Peyton, Wyatt, Eli, Caleb, and Hudson; sister, Lee Loschen of Lincoln, NE; brother, Caroll Schriner of Hastings, NE; along with numerous nieces and nephews. She was preceded in death by her parents, husband, three sisters, and two brothers. To send flowers or a remembrance gift to the family of LaVaughn Goings, please visit our Tribute Store. "Email Address" would like to share the life celebration of LaVaughn Goings. Click on the "link" to go to share a favorite memory or leave a condolence message for the family.